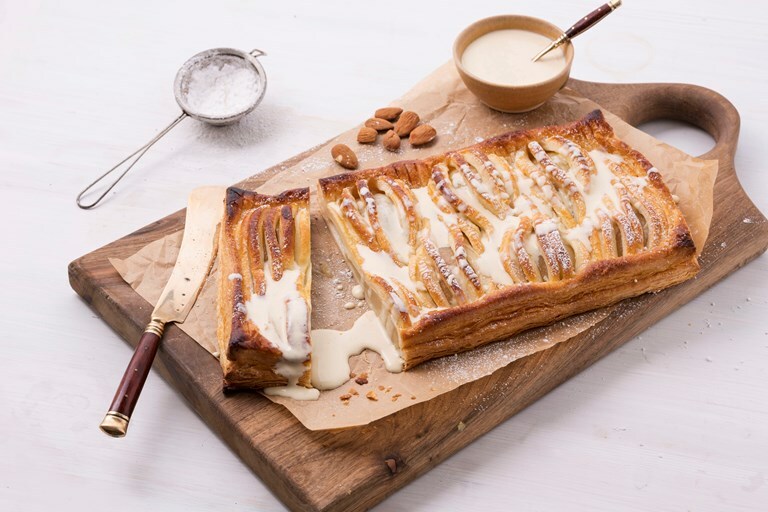 Galton Blackiston serves up a classic pear dartois recipe with lashings of brandy custard. Making custard in a Vitamix is spectacularly easy - just add all the ingredients and the friction from the powerful blades heat and bring the custard to the perfect heat, without fear of lumps. The machine is also used to make the frangipane for the dartois for a speedy, simple yet impressive dessert.